How can I create a calculated conditional form for car servicing? So the price would vary depending what they have selected, we do have a series of price values for each available option. I need to know what type of form this would be? 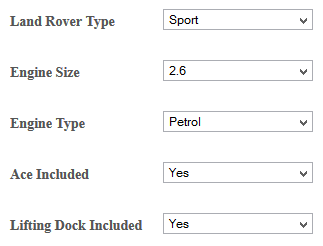 Can I edit it as the price options would change for a ford vehicle? Is there a cost involved for this? No there is no cost for this unless you go over the free plan limit on your form for the month then our system will lock your account until you either upgrade or wait for the monthly reset. And yes the forms are editable so you can change them as you see fit but it all depends on how you build it. I think this should be possible using a few fields to create the car cost total for your sum. You would need to use calculated conditional logic to make it display the right answer based on choices made. 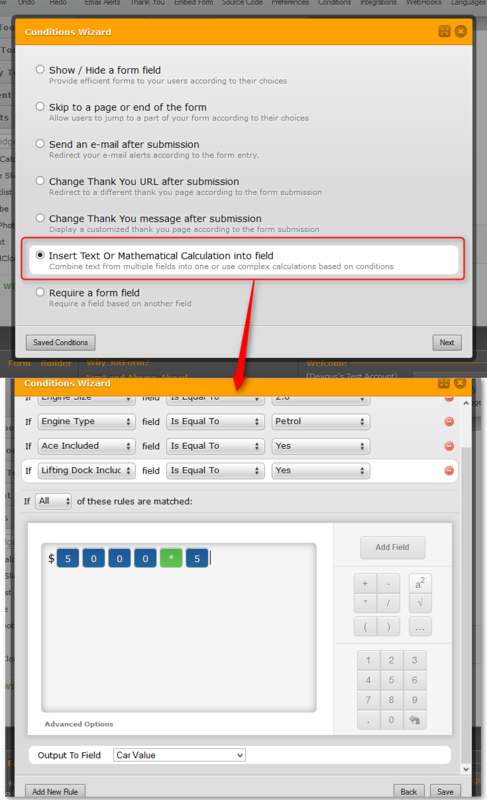 You can refer to this guide https://www.jotform.com/help/267-Form-Calculation-Math-Function-Reference for a better understanding of our calculation tool. I've made a starting point form for you to kinda get the idea of where I'm going with this to help give you suggestions for it. Feel free to clone and modify it more from there if you want. Example: - Pick all of the first answers in each dropdown and watch what happens.